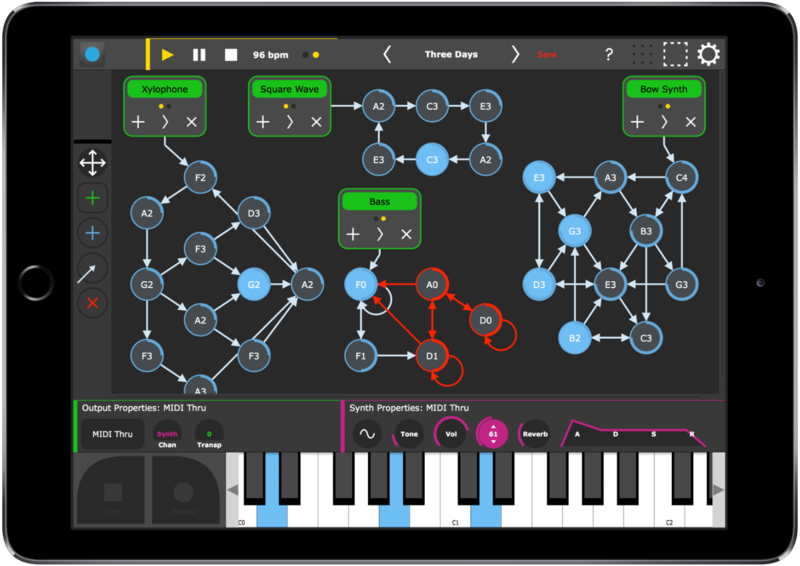 SENODE is an innovative music app based on the idea of finite state machines. It works like a polyphonic modular step sequencer with probabilistic steps. Senode is perfect for generative music and complex sequencing setups. In addition, all actions are MIDI bindable, so the steps can be triggered in real time from drum pads, sensors or other apps – a real live-performance instrument!